This year’s event will be held at the Sheraton Fallsview Hotel and Conference Centre between April 19 to 22nd at Niagara Falls with an attendance and speaker list that reads like a who’s who of responsible gambling, featuring highly qualified experts in the field from Canada, the USA, Australia, Sweden, Argentina and Britain. 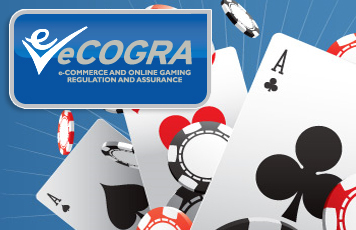 One of the key papers at the conference, Rees’s presentation is titled “Building a Regulated Environment for Online Gaming” and will look at jurisdictions and online gambling licensing, effective self-regulation as epitomised by eCOGRA, and Responsible Gaming best practice in the online gambling industry. Other speakers will cover a wide range of topics, including problem gambling prevention, treatment, research, and policy analysis. Dr. Norman Doidge, New York Times best selling author of The Brain That Changes Itself will address delegates on the fascinating field of neuroplasticity in another key presentation, and other experts will share the latest findings in player card technologies, get a glimpse of the online poker experience and learn about promising new prevention and treatment insights from around the world. Recently Rees represented eCOGRA at two major Asian conferences, delivering a papers on responsible gambling and the eCOGRA approach to this critical operational element. The event is sponsored financially by the Ontario Lottery and Gambling Corporation.